Don't be so shock if you notice your bank account deducted your fund worth 15 pesos after you withdraw from other bank ATM. Because next month, several banks in the Philippines will set to increased their ATM transaction fee for those who used other banks' ATM. Metrobank will increased ATM transaction fee into P15, starting this October 1, 2013. BDO set to charge a higher ATM fee worth P15 on November 4, 2013. Security Bank will also have same transaction fee and scheduled on October 15, 2013. BPI already set the higher ATM transaction fee last year. 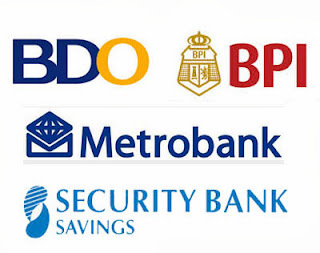 However, these banks assured to all of their clients that the withdrawal fee made on their banks' ATMs are all free of charge. For the meantime, please bookmark this page now or visit this site more often for you to be updated. You may also share this post to your friends so they may know about ATM Transaction Fee Increased in the Philippines. Comments or suggestions about "ATM Transaction Fee Increased - ATM Cash Withdrawal Fee in the Philippines" is important to us, you may share it by using the comment box below.